Inrush Current Limiters are used to reduce the inrush current that occurs when an electrical device is switched on. High inrush current is the result of the maximum instantaneous input current drawn by an electrical device during the initial power up. 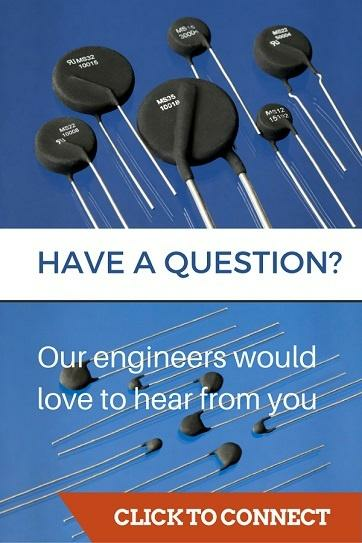 As technology continues to advance, most systems today run efficiently and maintain a low impedance which in turn contributes to high inrush current. Additionally, devices that produce alternating current such as electric motors or transformers can draw several times their steady state current at switch on. Although this additional draw of inrush often lasts less than ½ of a normal 60 hertz cycle, that is enough time to cause possible damage to the equipment. The AS Series of Inrush Current Limiters are used in high energy applications and short term high current. Surge-Gard Inrush Current Limiters Formerly of RTI Electronics. Standard Inrush Current Limiters come in a wide array of sizes, values, and ratings. The Big AMP series of Inrush Current Limiters are used in high energy applications and short term high current. The MS35 is our most rugged Inrush Current Limiter for up to 680 volts. 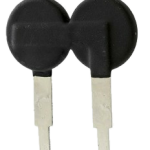 PTC Thermistor for Inrush Current Protection. Rated for up to 680 Volts. These Inrush Current Limiters are UL and CSA approved. The Mini-AMP Inrush Current Limiter is great for compact power applications. The Mega Surge Inrush Current Limiters are best used when you have higher than average voltage and current requirements. Industry’s highest voltage rating with lowest available resistance provides an alternative to fixed resistors and are optimized for inrush current limiting in pre-charge circuits, heater applications, in addition to over-current protection. Learn More Here. Inrush current limiting solutions, tips and tricks.